I love photographing at Long Island City wedding venues. The area has a personality all its own. And it’s been fun to see the area burgeoning with new wedding venues popping up over the past few years. This a new venue on the scene, and it is owned by standby wedding site, The Foundry. The 1,000 square foot space has vaulted glass ceilings. The walls are white-painted brick – a lighter, more modern – take on a classic industrial look. There is also a small outdoor garden space available for rent. Since it comfortably holds around 70 people, the Albra Room is a perfect venue for an intimate-sized wedding. For bigger weddings with a real party flavor, look at Melrose ballroom. The night club space often has public events, but they specialize in hosting private events like bar and bat mitzvahs, weddings, and other personal events. With a total of 5,000 square feet of event space, the Paper Factory hotel has flexibility and the kind of full service event coordination that will help your wedding go flawlessly. The Newsroom has space for up to 200 guests. An assortment of smaller indoor, and outdoor spaces, have a variety of styles from vintage-modern to industrial-chic. Catering is provided by Mundo. The Aurora Gallery showcases all kinds of art and artists – from paintings, to performance art. The gallery also serves as an event space for weddings, engagement parties, and other private events. The venue can seat up to 100 guests and tables and chairs are available for event rentals. 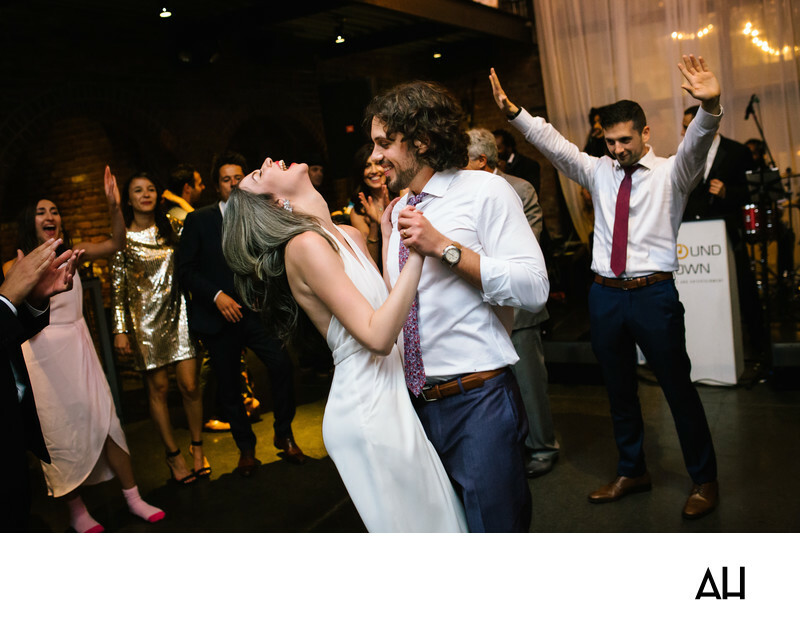 With the exposed brick interior, wood floors, and large windows, this venue makes a great canvas for couples to create a lovely and memorable event. No matter your budget, style, or guest count, there are Long Island City wedding venues that will be perfect for your specific taste.